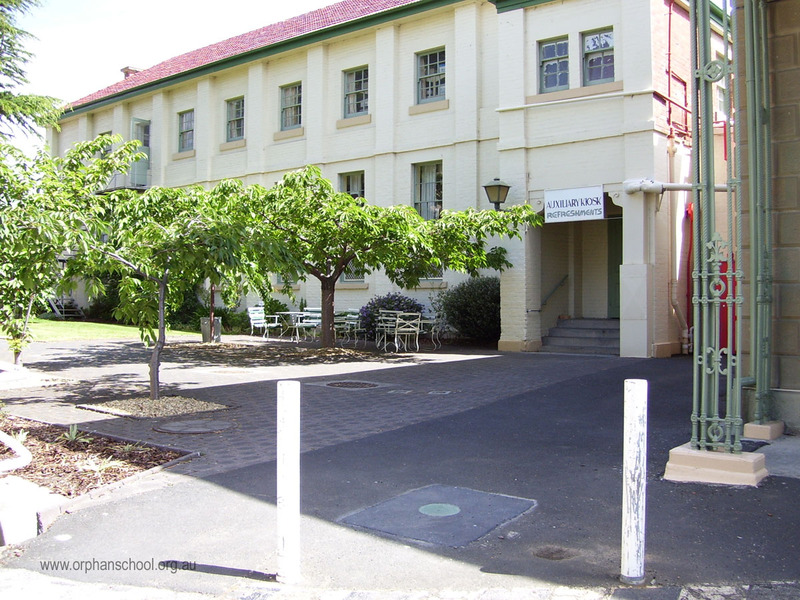 The Infant School was opened in 1862 to relieve overcrowding in the Boys' and Girls' Schools either side of St John's Church. 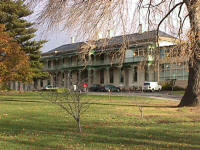 It also housed the hospital for the orphan school. 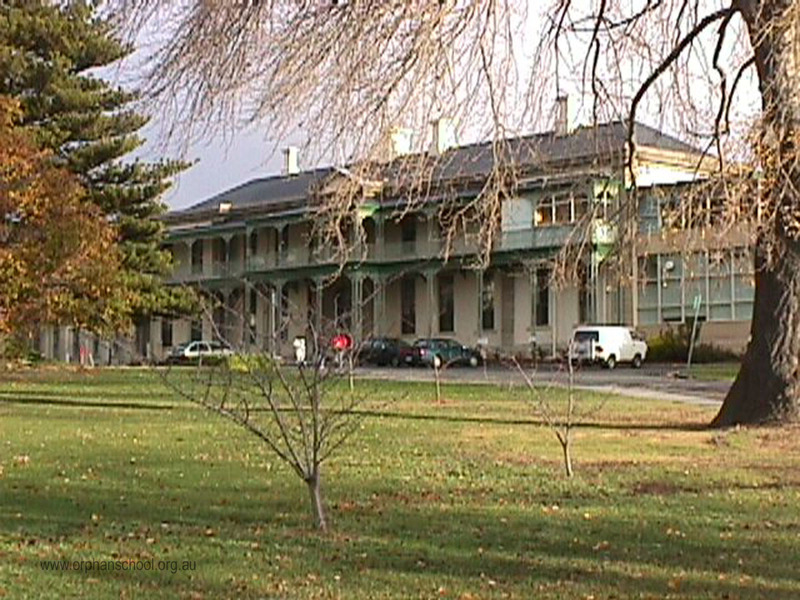 The rear of the building had an unusual radial spoke arrangement which has been demolished. 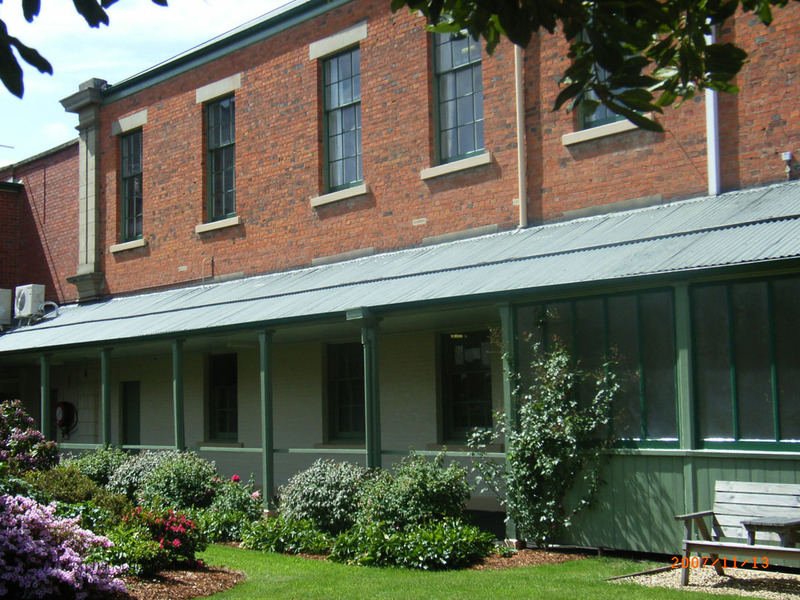 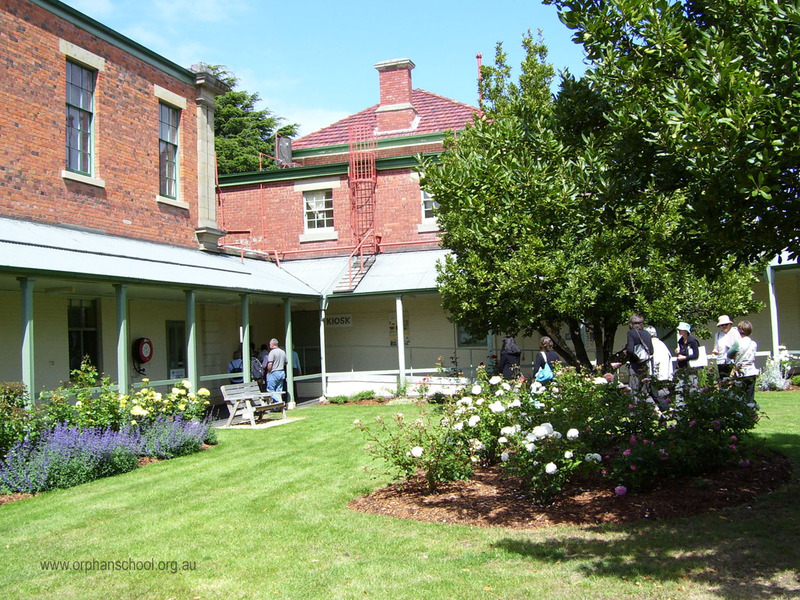 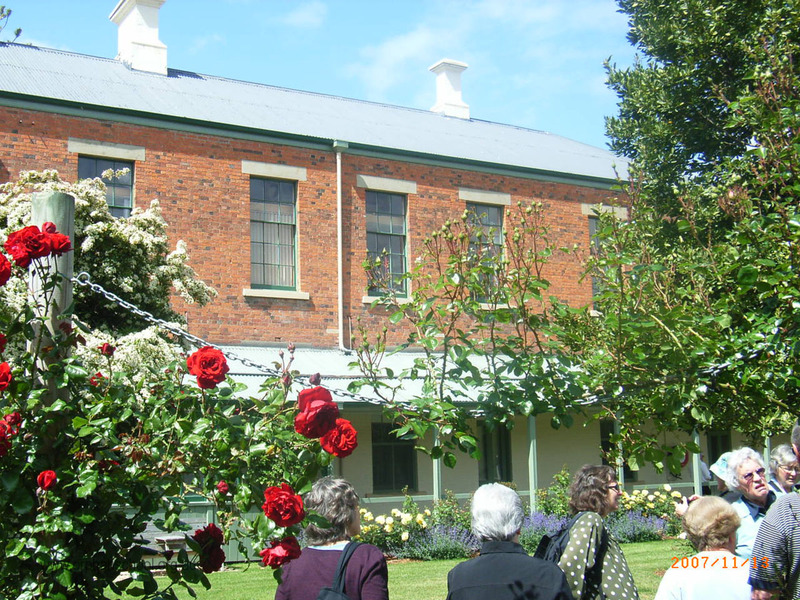 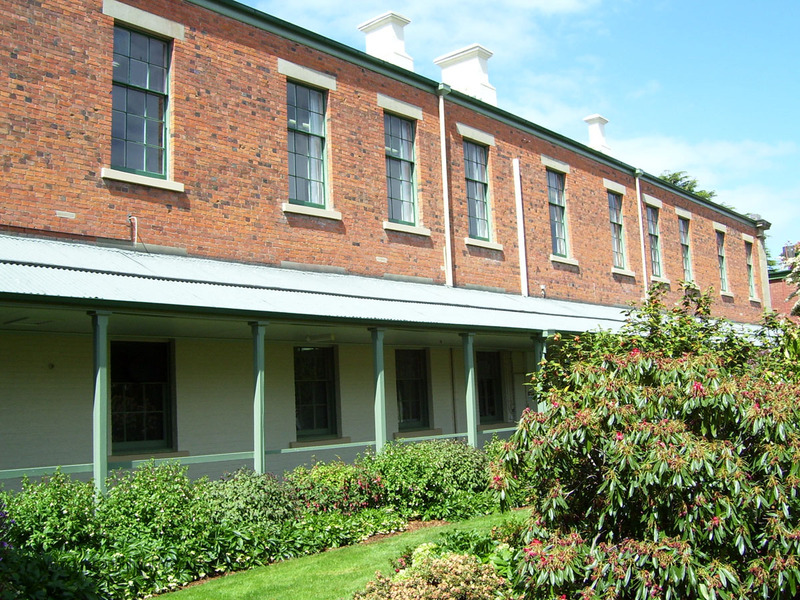 The main block is flanked by two single storey wings which were raised to two stories circa 1880. In 1874 it was used to accommodate female invalids. 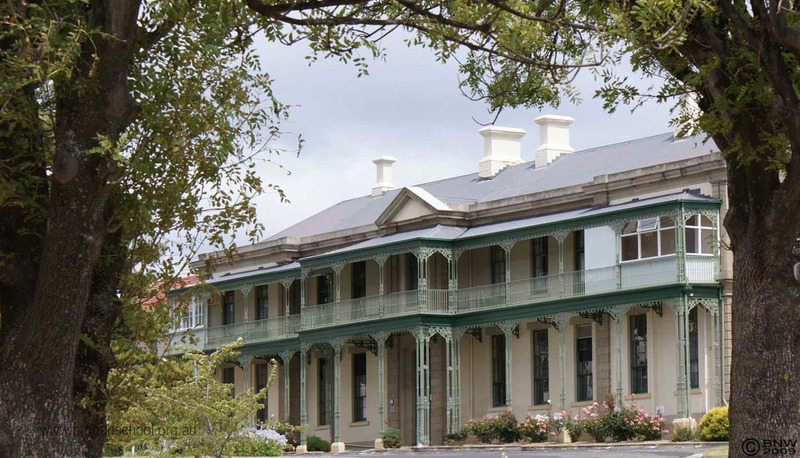 After the orphan school closed in 1879, the noteworthy wrought-iron verandas were added and other alterations were made. 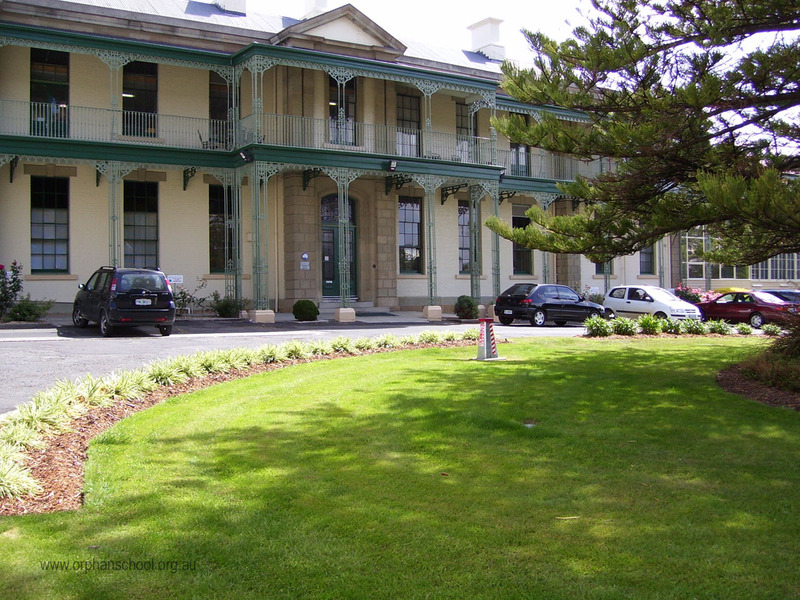 The building became known as New Town Charitable Institution and later St John's Park Women's Division. 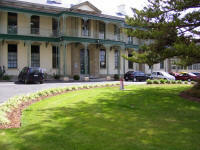 It is now owned by Southern Cross Care (Tas.) 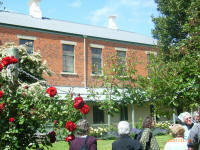 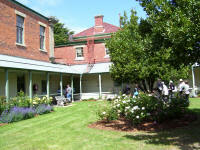 Inc and is part of its Rosary Gardens Residential Aged Care Facility. 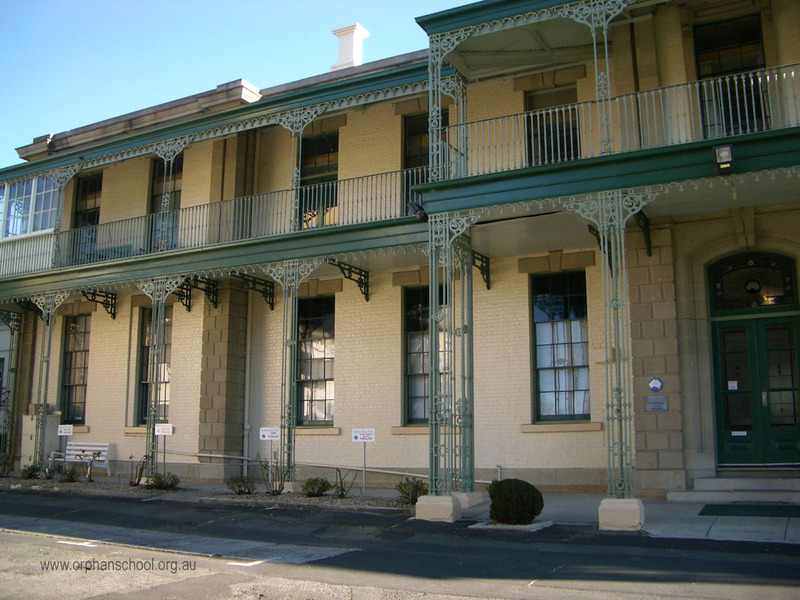 It is used for medical and administrative purposes. 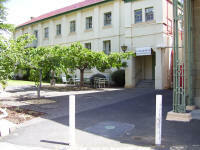 It also contains a kiosk for inmates and staff. Click on a thumbnail below to view a full size photo of the Infant Orphan School, now Southern Cross Care.